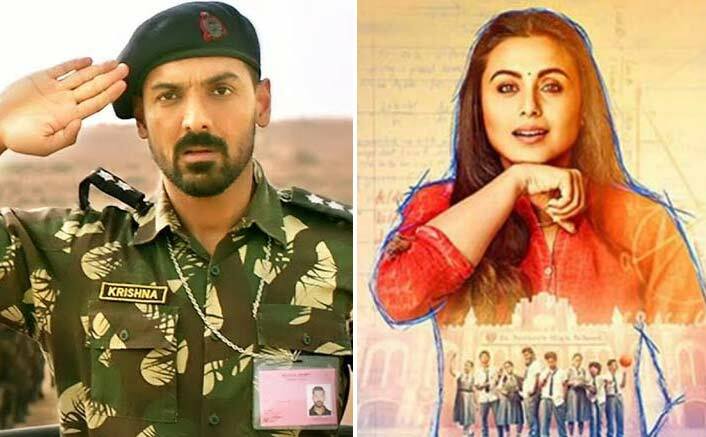 John Abraham’s Parmanu: The Story of Pokhran is doing tremendously well at the box office. The movie is based on the series of nuclear test explosions which took place in Pokhran in 1998. Parmanu: The Story of Pokhran is on a roll and breaking records at the box office. The film has collected 47.34 crores till date. Despite other releases, Parmanu has been doing well at the box office. Yesterday, John’s Parmanu surpassed the lifetime collections of Varun Dhawan’s October. Today, the film has crossed another film of 2018. Parmanu has successfully crossed Rani Mukerji’s Hichki (46.17 crores) at the box office. Just like Rani Mukerji stole hearts with Hichki, even John has managed to stand out and it is trying to juice up till Salman Khan’s Race 3 releases. If Parmanu continues to earn like this, it might surpass few more films of 2018 soon. Hichki based on the novel by Brad Cohen has impressed the audience and the critics alike. Parmanu-The Story of Pokhran also stars Diana Penty and Boman Irani. The film is jointly produced by JA Entertainment, Zee Studios, and Kyta Productions. Vashu Bhagnani’s Pooja Entertainment is its All India Distributor. On the work front, John Abraham will be next seen in Romeo Akhbar Walter, details related to the film, which is being directed by Robbie Grewal, are still under wraps, he will also feature in Satyameva Jayate where he will star opposite Manoj Bajpayee and also in Nikkhil Advani’s Batla House. The post Box Office: After October, John Abraham’s Parmanu BEATS Another Film Of 2018 appeared first on Koimoi.